When I learned we would be flying out to California so I could run the runDisney Super Heroes Half Marathon, I went into a state of panic. Part of the fun at runDisney races is dressing up in character. The Super Heroes Half is one of my bucket races as I have always been a fan of the Avengers. My first thought was to dress up as Captain America - however that would have meant a few things: I would need a blue running skirt ($25), a blue running shirt ($20) and have my friend make an iron on ($15). Not including accessories (shield, bow, socks), I was looking at $100 after shipping. I have a giant bag full of runDisney outfits that I will never wear again so the last thing I wanted to do was throw another $100 on an outfit. I went through my running drawer and quickly realized that most of my non-outfit pieces were black (or pink). I had everything needed to pull The Black Widow running outfit off. I would only need to spend $10 on two accessories. 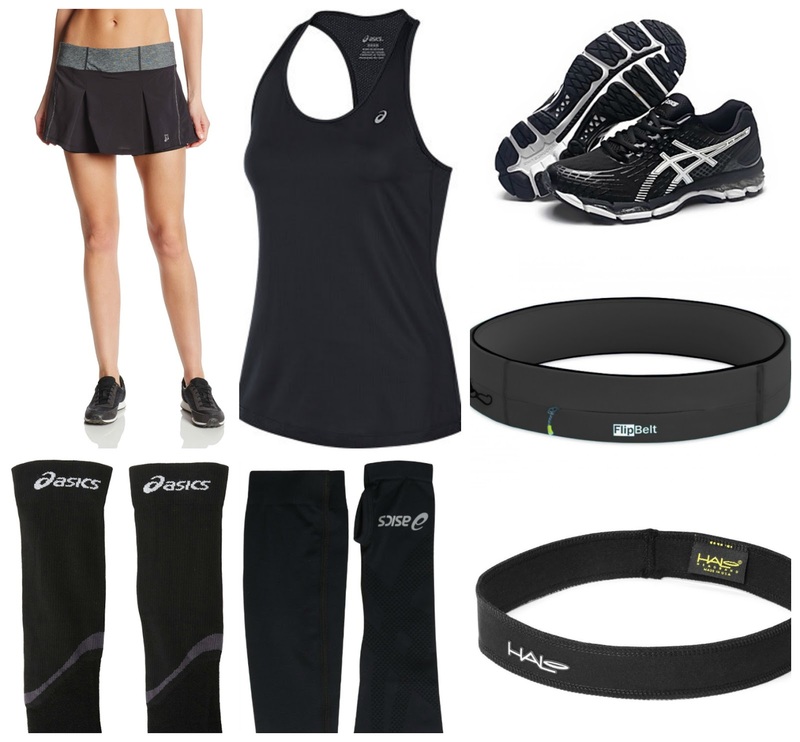 This will go down as the simplest and cheapest running outfit I have done. First, I have red hair and the same cut as The Black Widow so that made it very easy. Most runners should have black pieces to make this work and if you don't have all black shoes, just wear the darkest color owned. If the weather stays as projected (80 high, 60 low), this is my under $10 running outfit. Since the Black Widow wears long sleeves and long pants, I decided to wear black compression sleeves and arm sleeves since the other option would be far too hot. If for some reason the temperature drops, I will wear a pair of black running leggings. Avengers Black Widow Bow $6 (to put on headband) Etsy, dexlarprice - she is making the bow with a safety pin vs. an alligator clip so I can easily attach it to my headband. I usually spend so much time and money on running outfits so it was a nice relief to reuse items owned and turn it into a quick and easy DIY outfit. I hope it will look as good in person as my imagination thinks it will!